Through the Wall Wine Cellar Cooling Unit. Designed for cooling up to 1000 cu. ft. 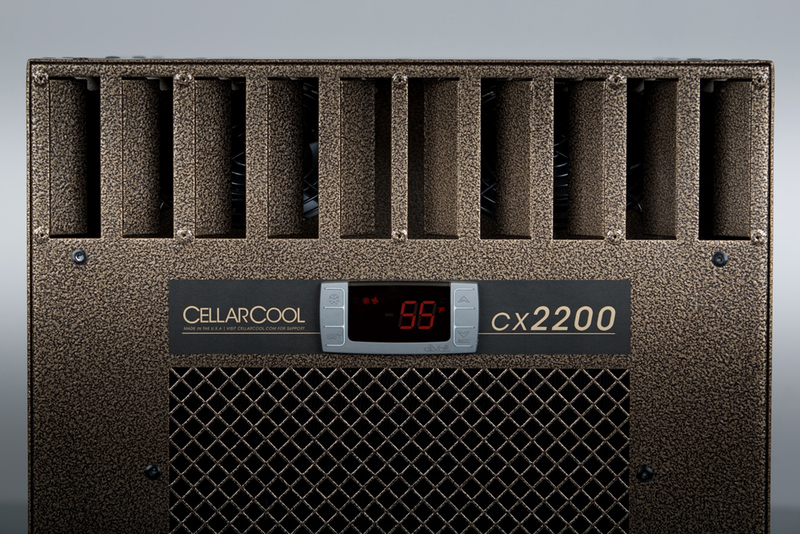 Introducing CellarCool, a brand that has set its sights on providing reliable wine cellar cooling systems for the budget conscious wine cellar aficionado. Supplying a quality product at this price segment was no simple feat. 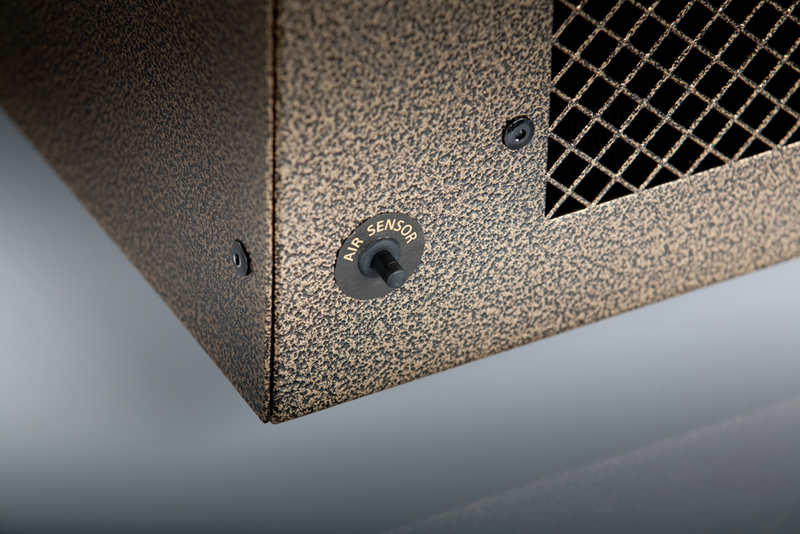 The CX series was developed under rigorous testing to ensure the product will efficiently cool and do so without failure. The end result, a product that you can directly replace Breezaire (WKL) and Wine-Mate (HZD) systems without any reservation. Economical wine cellar cooler solution designed for cellar enthusiasts who are on a budget. 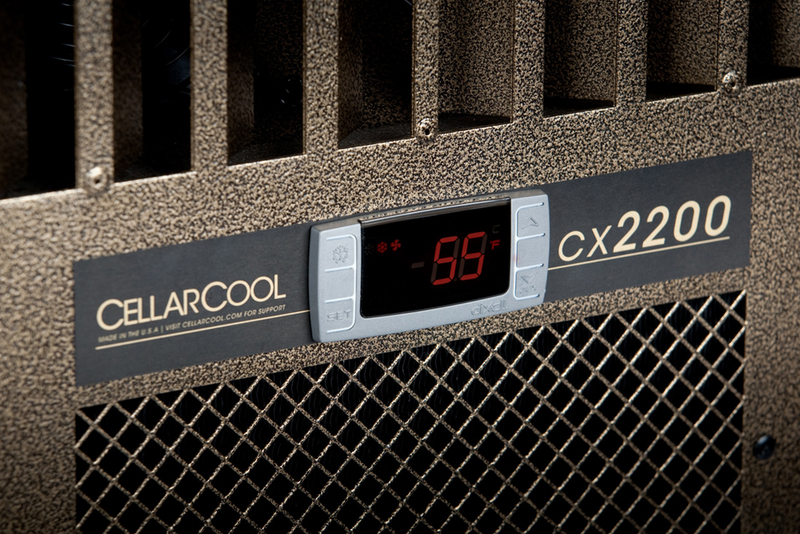 Aggressively priced, the CellarCool CX Series still incorporates advanced cooling technologies and strategic air flow. Designed for an easy through-the-wall style installation with the use of specialized mounting brackets. As well the unit easily fits between standard residential wall studding (*except cx8800) and no shelf support is required as the rear flange creates a strong mounting point. Featuring a Heat Exchange Condensate Management System that uses excess condensate on the "hot" side of the unit to act as a coolant, this also evaporates some of the condensate in the process. 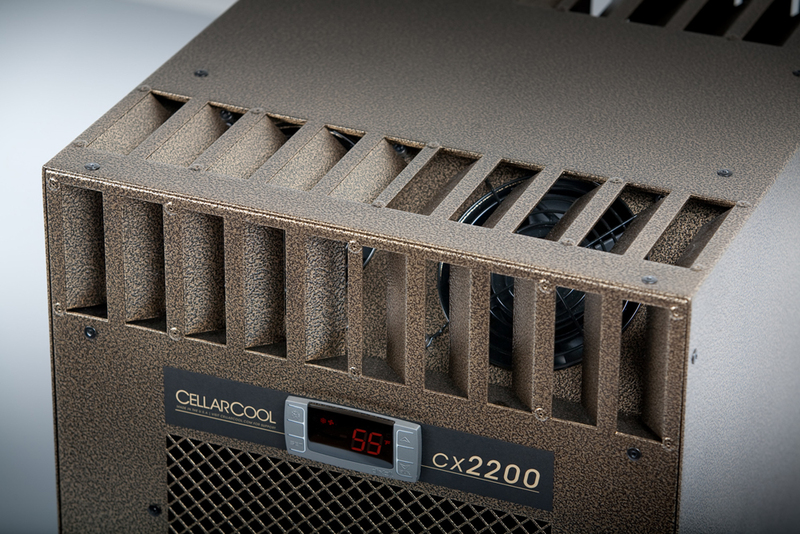 The CX series offers models that can maintain cellars from 265 to 2000 cubic feet. The CX series has been designed around a 30°F temperature differential - which means exhausting area should not exceed 85°F. Specifically designed high angle fans effectively circulate the air within the cellar to allow the unit to minimize it's run time. Humidity (50%-70%) and (55°F-58°F) maintenance. 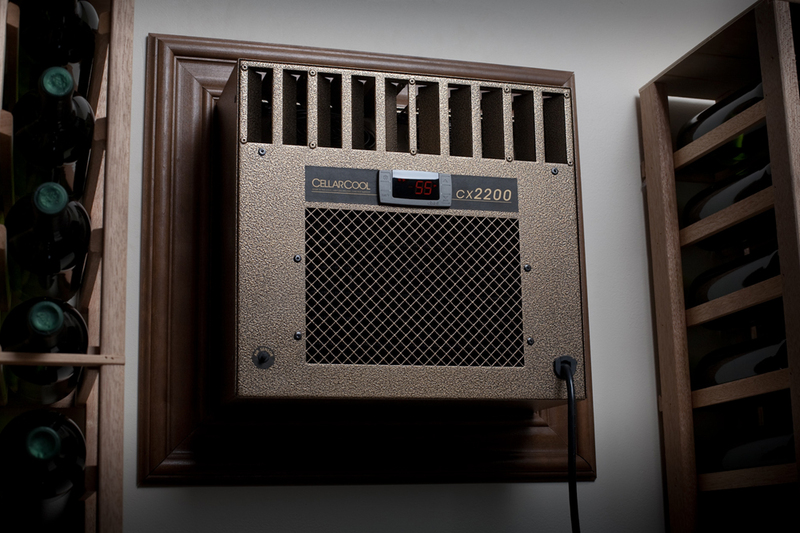 CellarCool Wine Cellar Cooling Units are American made units made in Stockton, California, USA, 952052, United States. 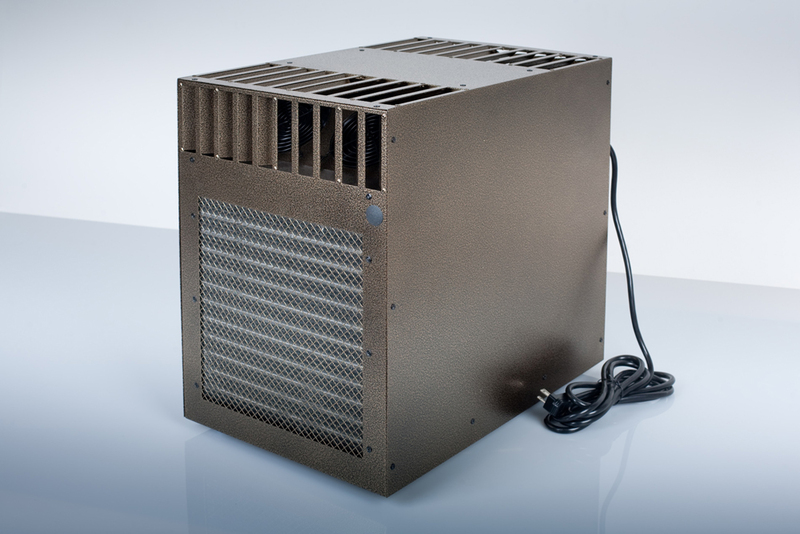 All Cellar Cool Coolers are available for shipping thoughout the US and Canada. Yes! Shipping Rate is $1 on this product!!! Warranty: Two year parts and labor / 5 year on compressor. Please see owner's manual Pages 26-28 for full details on warranty coverage.